In order to provide prospective students with the best chance at having a great education, we have compiled this list of the top universities and colleges in New Jersey. Some schools may excel at online programs while others may focus exclusively on the traditional, on-campus aspect of higher education. Regardless of the delivery format, these schools excel at providing a quality education for their students. Attendance of both Graduate and postgraduate education have risen dramatically in recent years. In large part that’s due to the increased prevalence of online schooling options. Working full-time employees and stay-at-home parents can now continue their studies through some of the top valued online colleges in New Jersey. These top-level online programs in New Jersey feature some of the best associate, bachelor, master and doctorate degrees. New Jersey promotes many different initiatives to entice students to consider online learning. As a result, many online colleges in New Jersey are highly accessible and up-to-date. New Jersey’s demonstrated commitment to making distance learning more accessible and technologically innovative makes online college a worthwhile investment for many. Online degrees in New Jersey provide the same level of quality as in the classroom. As part of our list, we look at the quality of the program, graduation rate, job placement, and tuition costs. The graduation rate is the student’s ability graduate within four years of starting school. Each of these qualities helps determine how well a student will succeed by enrolling in a New Jersey college in the U.S. Founded in 1969, Ramapo College of New Jersey is one of the state’s regional public colleges and offers over 30 academic programs. Ramapo ranks seventh for its graduation rate statewide, with most students graduating on time. 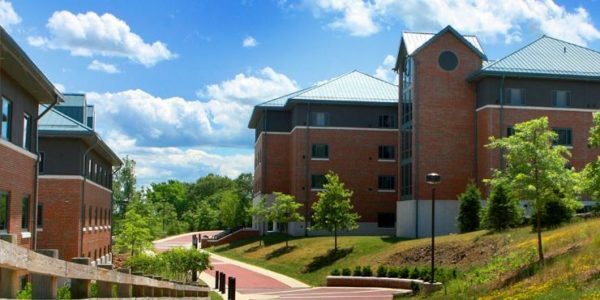 Ranking ninth regarding their price of tuition and fees when compared to other schools in the state, Ramapo College is also an affordable choice for students looking to save money throughout their educational journey. Th school also has tuition payment plans and a robust program of institutional financial aid. Students can take advantage of the many services the college offers such as academic counseling and career placement services. New Jersey Institute of Technology offers several fully-online, 12-credit graduate certificate programs. Not to mention, 13 Master of Science programs, each in different topics such as business administration (MBA), civil engineering, computer science, information systems, and transportation. 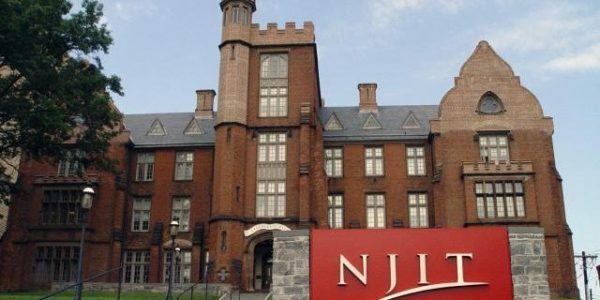 Rutgers University-New Brunswick doesn’t have as nearly as many online programs as TESU, but it makes up for it with its graduation rate and quality of programs. Rutgers currently offers three different bachelor’s degrees online: bachelor of science in nursing (BSN), BA in business administration, and BS in labor and employment relations. For graduate students, it offers biomedical engineering, master of accountancy, Master of Public Administration and Masters in Business Administration (MBA). In 2012, the university started a partnership with Pearson College to further enable it to provide online learning opportunities. Rutgers University-New Brunswick is a public and research co-educational school. With nearly 50,000 undergraduates taking advantage of more than 100 baccalaureate programs, Rutgers is a solid choice for any student seeking a quality education. New Jersey City University offers more than 500 graduate and undergraduate online learning courses designed to provide students with quality instruction. Programs, ranging from 6 to 18-months, are online self-paced courses that prepare students for health, computer, business, and accounting courses along with others. Also, six-week online courses teach professional skills and earn continuing education credits. New Jersey City University (NJCU) is a public university with a physical campus located in Jersey City, New Jersey. NJCU offers 41 undergraduate and 27 graduate degree programs. Montclair State University is one of the colleges on our list of top valued online programs that don’t feature bachelor degree programs online. The Graduate School offers online graduate programs that include Child Advocacy and Policy, Master of Business Administration (MBA), Professional Science Master’s and Information Technology (MS) concentration in Applied Information Technology, Professional Science Masters. Saint Peter’s University currently offers more than 50 undergraduate degrees, including three that are entirely online. Both the business administration and the RN to BSN programs are taught asynchronously for students with busy schedules outside academics. The Master in Education is also offered entirely online for graduate students. Saint Peter’s University is a not-for-profit, Jesuit, Roman Catholic College located in Jersey City along with satellite campuses in Englewood Cliffs, and South Amboy. Thomas Edison State University starts off with top valued online programs for 2018. With 18 undergraduate degree programs, 14 graduate degree programs, a Doctor of Nursing Practice, and more than 40 undergraduate, graduate and professional certificate programs, Thomas Edison State University has one of the widest selections of online programs. TESU prides itself in providing many opportunities for working adults, who are juggling other commitments such as family and community responsibilities. In addition to online courses, students earn degrees through a wide variety of rigorous and high-quality academic methods that can be customized to meet their individual needs, including testing and prior learning assessment as well as credits awarded for military and professional training programs. William Paterson University of New Jersey offers an undergraduate BA in Liberal Studies with focuses in Psychology and Sociology. The programs are for adult returning students and transfer students seeking an online degree completion program. And two graduate programs: MSEd in Curriculum and Learning – School Library Media Concentration; and MEd in Literacy. The William Paterson University of New Jersey (WPUNJ) is a public university with a campus in the town of Wayne, New Jersey. WPUNJ began in 1855. Caldwell University has online undergraduate degrees include an RN to BSN program, while graduate students can enroll in an MA program in educational administration or higher education. Additionally, educational professionals with an MBA can pursue one of several post-master’s certificate options. Caldwell University is a Catholic liberal arts university in Caldwell, New Jersey, United States. Founded in 1939, Caldwell serves more than 2,200 students. Rowan University has more than 30 online programs. With Rowan Global Learning & Partnership, the university offers academic programs at both the graduate and undergraduate level in partnership with the university’s colleges. Students can choose between four B.A. in Construction Management, B.A. in Law and Justice, B.A. in Liberal Studies, and B.A. in Psychology. Graduate programs include Criminal Justice, School Administration, and Engineering Management. Rowan University is a public university in Glassboro, New Jersey. A satellite campus is located in Camden, New Jersey. The school started in 1923 as Glassboro Normal School. Georgian Court University has online programs ranging from certifications to graduate programs. Online admissions and advising are available. Programs are taught in a cohort 7.5-week structure, allowing highly motivated students to finish in as little as one year. Students have the choice between M.A. in Holistic Health Studies and a Holistic Health Studies Certificate for featured online programs. Georgian Court University in Lakewood is 60 miles from New York, Philadelphia and the Jersey Shore. GCU focuses on a liberal arts education rooted in the Roman Catholic tradition. The university is accepting of students of all faiths and backgrounds. Seton Hall University offerings include graduate programs, doctorate options, as well as certifications. Some programs may require weekend residency especially for the doctor of nursing practice. Master’s programs include topics such as accounting, education, nursing, business, and school counseling. Seton Hall is home to nearly 10,000 undergraduate and graduate students and more than 90 academic programs. One of the country’s top Catholic universities, Seton Hall has been developing students in mind, heart, and spirit since 1856. The College of Saint Elizabeth offers a few different options for online students looking to continue their education. Students have the opportunity to complete the M.A. in Applied Behavior Analysis, M.A. in Justice Administration and Public Service, and M.S. in Nutrition. Not to mention, the college, in collaboration with ED CHOICE, allows students to fulfill both commitments while earning a Master’s degree or doctorate. Those include a Master of Public Health, M.A. in Theology, M.S. in Health Administration, M.S. in Management, M.S. in Nursing, Ed.D. in Educational Leadership – Higher Ed Track. The College of Saint Elizabeth is a private Roman Catholic, coeducational, four-year, liberal arts college in Morristown, Morris County, New Jersey, United States. Fairleigh Dickinson University offers two different online programs. The Bachelor of Arts in Individualized Studies and the Associate of Arts in Liberal Arts are available entirely online. Master’s online degrees in Digital Marketing, Electrical Engineering, Administrative Science, Homeland Security, Sports Administration, Mathematical Foundations, Nursing Education, Student Services Administration, Service Innovation and Leadership and Clinical Psychopharmacology. The university also has numerous graduate certificate courses available online. FDU currently offers a fully online BA in individualized studies. Fairleigh Dickinson University is the largest private university in New Jersey as it serves more than 11,000 students. Over 100-degree programs are available on campus and online. Monmouth University has four different masters degrees available 100 percent online for graduate students. It offers Master of Science in Education, Master of Science in Homeland Security, Master of Science in Nursing, and Doctor of Nursing Practice. Other graduate certificates are available for students as well. Monmouth University’s online courses and programs offer a convenient alternative to traditional on-campus courses.Monmouth University’s online courses and programs provide a convenient alternative to traditional on-campus courses. Founded in 1933 as Junior College, Monmouth University (MU) received its charter in 1995. Monmouth University is a private university located in West Long Branch. Rider University offers undergraduate and graduates degrees entirely online. There are four available bachelor degrees in B.S. in Allied Health Studies, R.N. to B.S. in Nursing, B.S. in Business Administration, and B.A. in Psychology. There are also five graduate degrees available in business, communications, and accounting. Rider University, with campuses in Lawrenceville and Princeton, was founded in 1865 and merged with Westminster Choir College in 1992. The school has approximately 4,100 undergraduate and 950 graduate students. The list draws from the top valued colleges around New Jersey. The combination of graduation rate, number of online programs, tuition cost, and overall quality of program based on student feedback determines each school’s evaluation and rank. We invite schools featured on our list or not highlighted to reach out for possible inclusion in an updated version of our top valued colleges in New Jersey. We’re constantly looking to recognize top-tier institutions.